Forty-three years ago, on my initial flight instructor checkride, I was introduced to a concept called state-dependent learning. My lesson began when the evaluating FAA inspector requested a departure stall and I was quick to oblige: clearing turns first, slow to approach speed, application of full power, and right rudder as the angle of attack increased. As if trained trumpeters were onboard, the stall horn announced the arrival of the stall. Then the unexpected happened. Somebody stomped the right rudder pedal down to the floorboard and the airplane rolled over on its back. Welcome to Spin City! Rod Machado holds degrees in aviation science and psychology. Back then, more than a few proactive FAA inspectors produced their own reality shows on every checkride. My inspector, Mr. Stomper, wanted to know whether his examinees could recover from a stall or spin when they hadn’t anticipated one. After all, most stalls and spins were highly choreographed maneuvers with a stage entrance (clearing turns), a performance (an actual stall or spin), a stage exit (the recovery), and sometimes a curtain call or two (a secondary stall—oops!). How could anyone not anticipate a stall when the theater announcer had said, “Let’s get ready to burble”? Sadly, when pilots unintentionally stall and spin an airplane, they behave very differently than they do when practicing these things in theater-like settings. So there I was, sitting next to Mr. Stomper—while spinning down through the practice area with the wheel pulled full aft into my tiny one-pack of stomach muscles. All the while, I was wondering why the yoke was no longer talking to the airplane’s nose. It wasn’t until I heard Inspector Stomper say, “Son, you better recover if you want to pass this ride,” that I had a mental reboot. Spin! Yes, I know what that is. Time to recover! What happened to me? It turned out that I was a victim of a psychological principle known as state-dependent learning. This principle stipulates that the emotional state in which we learn something is the emotional state in which that information is best retrieved. Learn to recover from stalls in a relatively relaxed (choreographed) emotional state, and you’ll easily recover from stalls that occur in that unaroused emotional state. Learn to recover from stalls and spins when you don’t expect them (a highly aroused emotional state), and your recovery skills will be more immediately accessible during an accidental stall or spin. GA pilots, however, may not have access to aerobatic training, upset recovery training, or advanced (and non-lethal) simulator training. Fortunately, what you don’t receive in terms of a realistic, stress-inducing training environment, you can make up for in repetition—extensive repetition. This is precisely what martial artists do when they practice hitting other people in the dojo (don’t worry, they only hit the individuals wearing canvas pajamas and cheap, hand-tied, colored Gucci belts). This is called kumite (freestyle practice fighting). While it’s not real street fighting, it serves the purpose of building habitual reflexes that can be relied upon regardless of one’s emotional state. Yes, it’s possible to have access to your stall/spin recovery skills, regardless of how they were emotionally coded in your brain. The secret is to practice these skills with sufficient repetition to produce a near instinctual stall/spin recovery reflex. Of course, most pilots don’t practice stall recoveries, much less spin recoveries, except on flight reviews (and only then, if they’re lucky). Fortunately, you can acquire a lot of bang for your burble by practicing stall/spin recoveries on a desktop flight simulator. The limiting factor in skill development is repetition—a lot of repetition. Think 20 stall recoveries before lunch, or after lunch without losing your lunch. Perhaps one of the great lessons that psychology teaches is that while practice might not make behaviors perfect, it does makes them permanent. 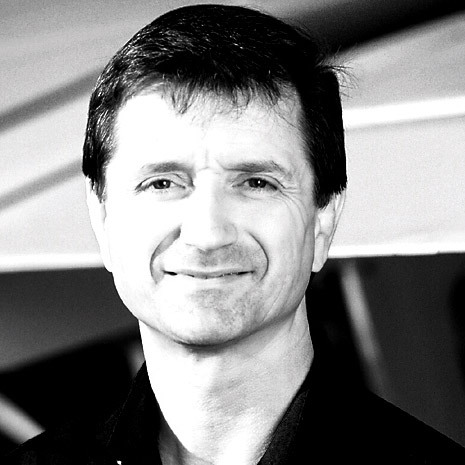 Rod Machado is a flight instructor, author, educator, and speaker.